Notorious "Politician" Gerry Adams, who is now stepping down as the Leader of Sinn Fein, has lavished praise on Jeremy Corbyn during an interview with Andrew Marr. Both Corbyn and the Shadow Chancellor John McDonnell have come in for criticism due to their apparent support for Sinn Fein during "The Troubles". 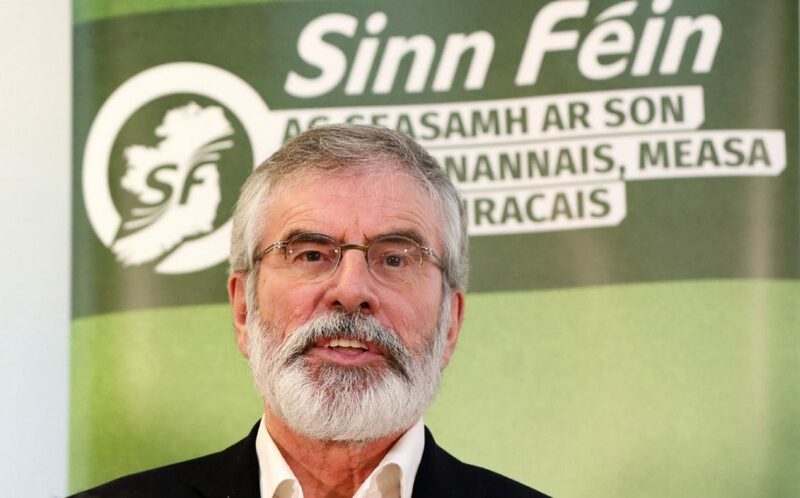 Adams has always denied his involvement with the Provisional IRA and insisted he was never responsible for any violence either in Northern Ireland or on mainland Britain. Many have disagreed with this with former provisionals stating that he served on the IRA's Army Council for a number of years which co-ordinated military attacks against Great Britain. Adams said: "I would like to see Jeremy in that position [prime minister] for the benefit of people in Britain, leaving Ireland out of it. I think Jeremy is an outstanding politician and I hope my endorsement of him is not used against him in the time ahead. He and (former London Mayor) Ken Livingstone and others kept faith." Adams did also say he recognised that by giving this endorsement it could backfire against Corbyn owing to the way he is thought of in the UK. Would you help support our articles and campaign? Click here to help now! Read: "SHOCK: Brit who travelled to Syria to fight AGAINST ISIS faces terror charges!" Read: "Bank of England DRAMATICALLY UPGRADES growth forecasts! "